Cutting weight has become a huge problem in MMA, a problem that a lot of people have yet to be able to find a solution for. Luckily, there were no edge-of-your-seat suspenseful situations for the UFC 217 weigh-ins. The closest we got was Johny Hendrick’s pre-scale speech about why he’s probably going to miss weight. This references back to his long storied rivalry with making weight at both welterweight and even at middleweight. Don’t worry though, Big Rig. This is an article about celebration because the man made weight anyway. “I know you are all media. So, I gotta’ tell you a quick story. 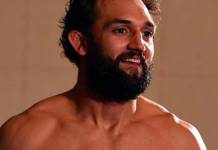 Last night, so nobody writes a negative [post] that Johny Hendricks tripped because he missed weight. I misjudged last night that I thought I had some underwear that didn’t weigh anything. Well, I was wrong. So, instead of losing 1.4lbs like I should of, I drank up 1.2lbs which was my fault. So, I lost 1.2lbs just not for the underwear count which I should of lost 1.4lbs for. So, I should have only drank one pound back. All you media people, I didn’t miss weight, I just misread the underwear. Okay? No negative. 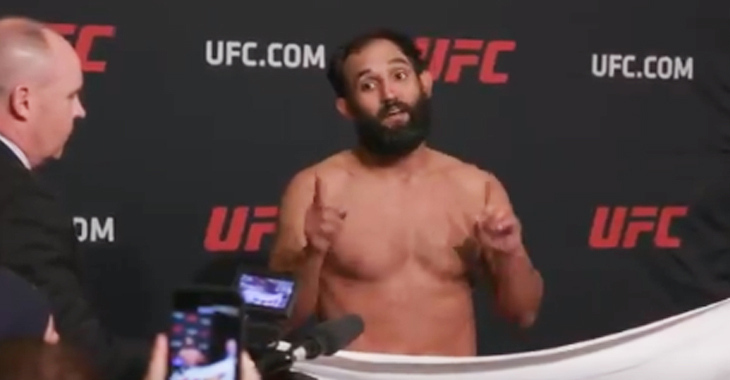 No negative.” — Johny Hendricks to media at the early weigh-ins for UFC 217. 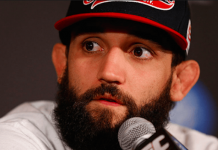 No negatives here, Johny Hendricks. How can anyone complain about a weightless underwear story preceding a successful weigh-in attempt? His opponent, Paulo Costa (185.8), also made weight so his fight with Hendricks (185.8) is on for tomorrow at UFC 217. 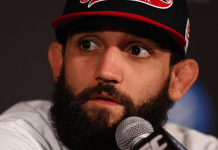 After being stopped by Tim Boetsch in his last outing in June, Hendricks will look to get back into the win column this Saturday. This article first appeared on BJPenn.com on 11/3/2017.